As the end of the week approached, I was in a conference room with my project team in a downtown Dallas high-rise tower working to resolve an issue on a mission critical IT project. The very next day, I was in south Texas leading a platoon of troops in an air evacuation exercise. Our mission was to successfully transport hundreds of civilian evacuees out of the lower Rio Grande Valley via C-130’s to multiple cities all over Texas. This was a five day joint exercise with the Army and Air National Guard along with eighteen state and federal agencies. While leading a multi-million-dollar IT project and leading a platoon in the military may seem like they are worlds apart, both situations actually have amazing similarities; you have a team, scope, risks, issues, and a deadline. One of the most disciplined organizations in the world – the US Military – recognizes Leadership as THE most critical success factor for the successful execution of a mission. The US Military sends leaders through intense training to understand the fundamentals of leadership, the various types of leadership, principles of leadership, and traits that all good leaders must possess. The US Military has some of the best leadership schools on the planet and they teach Officers how to make decisions under extreme pressure, how to weigh their options, how to prioritize when the list of tasks exceeds the allotted time, and most importantly how to lead people under the most stressful of circumstances. So what does all of this have to do with running a successful project? The answer is simple – leadership has everything to do with it. It is absolutely the most critical element in any project. The following six leadership concepts are taught by the US Military and can easily be applied to project management. When applied correctly, these simple and proven concepts can be the differentiator for a successful project outcome. What does this really mean? If you are the project manager, you are probably already in charge. Well…not always. Simply because one has authority does not necessarily mean that they are the leader or are leading the team towards mission accomplishment. This occurs when there is ineffective leadership, poor communication, or a complete lack of leadership. In some instances, project managers are guilty of allowing team members to ‘bulldoze’ or ‘steamroll’ over them in face to face meetings, email communications and conference calls. This causes the PM to lose credibility with the team and, more importantly, causes people to start questioning the leadership ability of the project manager. These situations can be avoided if the PM takes charge and establishes expectations and tone from the beginning of a project. From time to time, a project manager or another team member will attempt to provide unsolicited advice or even take on tasks that are outside of their area of responsibility or expertise. For example, when a project manager schedules a white-boarding session to work through a technical issue, it is unlikely that the PM will be the one with the answers. However, many PM’s have a tendency to drive the discussion, while also contributing ideas and ‘solutions’ which often cause unnecessary problems and confusion for the team. Additionally, by inserting oneself and trying to do someone else’s job, it means that no one is doing your job. Staying in your lane demonstrates to your team that you trust and respect the contributions and expertise of others. Simply put, you can’t fix everything, you can’t do everything, and you must know and respect areas of responsibility and professional boundaries. 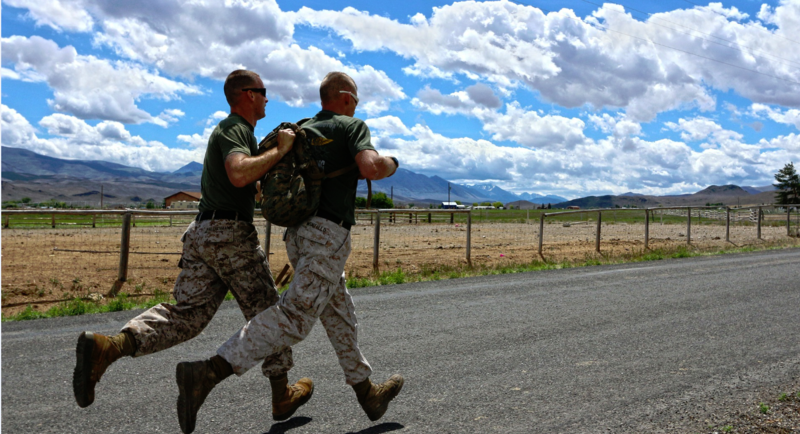 Without a military background, the term “back brief” might be unfamiliar. Let’s say that you are in a meeting and you are a member of a project team. You receive a complex task from the PM and don’t get a chance to write it down and the PM’s description of the action item is vague or unclear. Now you have a choice to make, you can either contact the PM to ask for more information or you can make an assumption and proceed with the task based on that assumption. This scenario leaves open the possibility for error, miscommunication, and potentially mission failure. One technique used by the military to confirm that a subordinate understands an order is to ask for a back brief. After describing in detail what you are tasking the individual with, ask them to repeat back to you the entire task in their own words to confirm they understand both the concept of operations and execution. The concept here may seem simple, but if applied correctly it is extremely effective at mitigating miscommunication. In the military, line Officers are expected to lead their unit from the front into battle. Clearly PM’s are not taking a Platoon of soldiers into battle, but the concept of leading from the front can easily be applied. You can’t sit back and order people to do things and not engage or participate. You must attend the meetings, drive discussions, document the outcomes, and communicate the plan to the team and stakeholders as it evolves. You can’t do this off the corner of your desk or by sending out email after email. You have to lead. You have to engage and you have to do so from the front. If you are leading from the front then you are taking ownership for your actions and those of your team and you are directly accountable. This is a concept that many people struggle to understand when acting in a leadership capacity. As a military leader your mission is the first priority, but you can’t complete it without your troops. In a project, the concept translates easily. Your mission is to complete the project, but you cannot complete it without people working together as a team. You must complete the mission while treating every person with respect and without showing favoritism. A good leader will look out for their troops, communicate effectively, remove impediments and ensure that they are protected from forces that would distract them from reaching their primary objective. This concept requires that you, as the leader, grasp the fundamental idea that your missions’ success is directly dependent on your team. This final concept is arguably the most important simply because it should incorporate the previous five. General George S. Patton said “always do everything you ask of those you command.” This quote perfectly sums up the concept of leading by example. If you expect your team to be on time to meetings…you should be. If you expect your team to communicate effectively…then you should. If you want your team to be organized and efficient…then you should be. If you take responsibility for an action item with a deadline…complete it on time. Whatever you expect from your team must first be demonstrated by your actions and behavior. Failure to lead by example communicates a message to your team that there is a double standard, one for you, and another for them. This will erode respect, morale, and the will of your team to take the necessary action to accomplish the mission. Projects are complicated and require leadership, diplomacy, and tact. If you want to increase your odds of delivering a successful project take these six concepts and integrate them into your leadership style. This does not mean that you need to become a drill sergeant or aggressively give orders, quite the contrary. Great military leaders do not have to scream and shout to get things done nor must they rely on legal authority to motivate their troops. Some of the greatest military leaders in history were soft-spoken, knowledgeable leaders who inspired their troops to take the initiative and work together as a team in order to ensure mission success. Rich Faltot is a Director of Business Transformation in Dallas Texas. He specializes in program/project management and is an officer in the military. Rich has led projects for enterprise clients and currently leads a team of consultants delivering projects for a large retail client in Dallas. When Rich is not driving projects for Statera he is the Executive Officer for the TXSG Officer Candidate School, Texas Military Department, Camp Mabry, Texas.